Ben and I just returned from a turn-around trip to Sao Paulo, Brazil. While there we attended the Hair Brasil show where we were able to showcase our fabulous product line featuring long-lasting SenseCosmetics and anti-aging SeneDerm skincare as well as accessories. Hair Brazil is a professional dynamic trade show, conceived specially for the beauty and aesthetics industry. It’s the meeting point for the beauty industry in Brazil and Latin America. Our products were a hit! As you can see here, Brazilian women were loving the staying power of LipSense long-lasting liquid lip color. While there I hosted a Glamour Demo complete with an interpreter to translate English and Portuguese, what a neat experience. Their language is so worldly and beautiful. 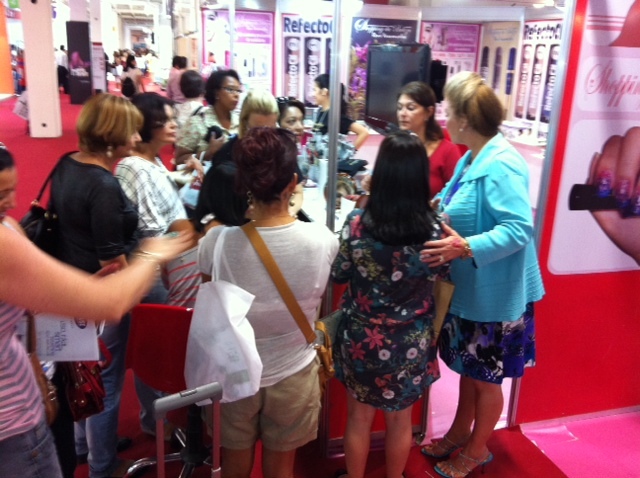 While the trip was mostly business, Ben managed to have lots of fun intro-ing LipSense to Brazilian women!